A lifelong resident of East Boston, Ms. Welch devoted most nights to meeting with officials and neighborhood groups. Nevertheless, she was a formidable opponent of any policy that might harm the lives of those who called East Boston home, as she did her entire life. 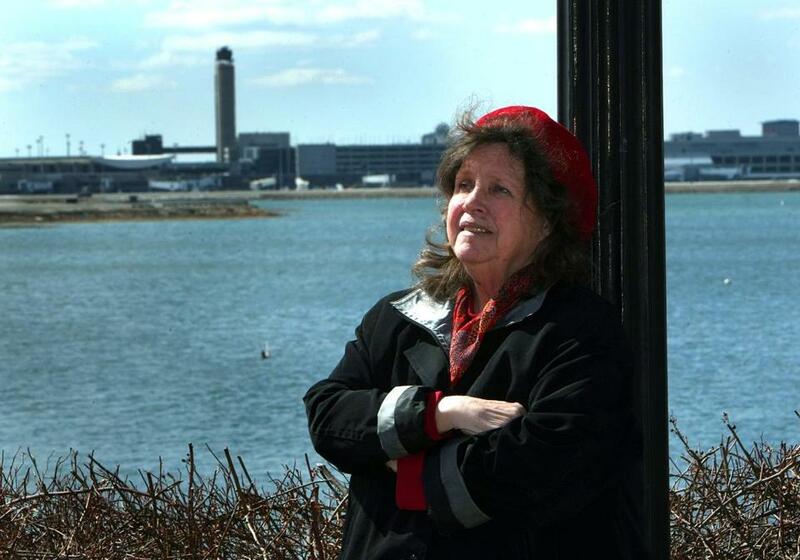 Her high-profile activism dates back more than 50 years, to the legendary day in 1968 when East Boston women — some bringing along their children — filled Maverick Street to block large dump trucks that were using the neighborhood as a thoroughfare. Government officials responded by banning truck traffic on the street, and in the decades that followed, Ms. Welch devoted most nights to meetings with neighborhood groups and public officials, and to researching what she’d say at those gatherings. Known for arriving at hearings armed with facts and studies, she also wrote countless letters to politicians and newspapers. And she never stopped, even after medical setbacks made it necessary for her to attend meetings by being patched in on a speakerphone. “Any good organization that grew out of East Boston, Mary would have been a part of it. She went to meetings every night of the week and she did her homework,” said Roberta Marchi, a friend. Her decision to continue being an activist in the face of declining health surprised no one who knew her well. “She always made sure everyone was OK before she ever did anything for herself,” said her sister, Eleanor Welch McMullan of Biddeford, Maine. Whether Ms. Welch was helping relatives, schoolchildren, or all of East Boston, “she was adamant that she never wanted an accolade for herself,” her sister said. The oldest of four children, Mary Ellen Welch was born in 1941 and grew up in the Jeffries Point section of East Boston. She never strayed, living as an adult on the third floor of a building diagonally across the street from her childhood home. Her father was John Welch, a Boston Police officer. Her mother was Eleanor Stafford Welch who, like Ms. Welch, graduated from Emmanuel College and was a teacher. As she earned a bachelor’s degree in education, Ms. Welch learned to play piano and recorder, talents that were considered necessities for elementary school teachers. Over the years, she taught children to sing songs in many languages to introduce them to the cultures of other nations. “She would always say, ‘I can sing “Jingle Bells” in seven languages,’ ” her sister said. Ms. Welch also graduated from what was then Boston State College, with a master’s in education. Her sister said she taught for a couple of years at Chapman School in East Boston before moving to the Hugh R. O’Donnell School, where she remained the rest of her career. She was just as much a teacher of adults, via her participation in an array of organizations. She helped to found, or at various times led, groups including Airport Impact Relief, the Neighborhood of Affordable Housing, the East Boston Greenway Council, and the Jeffries Point Neighborhood Association. “Mary Ellen Welch’s profound impact can be felt in the open spaces she fought to maintain, the affordable housing units she advocated to protect, and even in the very air we breathe,” City Councilor Lydia Edwards of Boston wrote in a Facebook post. In addition to her sister, Ms. Welch leaves her brother Jack, of Canton. She also was particularly close to her three nieces and two nephews. Her other brother, Charles, died two years ago. In keeping with her aversion for personal accolades, Ms. Welch insisted there be no memorial service. “She said, ‘Now no one has to worry about what to wear or if they’re anywhere on time,’ ” her sister recalled. Even without a service, “anyone who knew her is going to miss her terribly,” Salvucci said. Through her presence at hearings and in the letters she wrote, Ms. Welch insisted that citizens held the true power in civic affairs, and she hoped others would follow her example. “It’s the people who lead, and the politicians who follow them,” she told the Globe in 2002. Contact Bryan Marquard at bryan.marquard@globe.com.